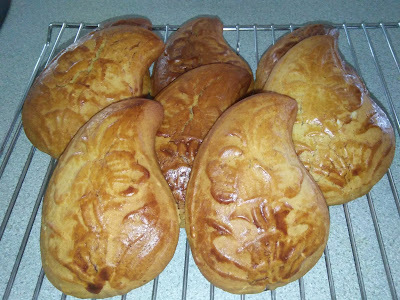 The original recipe is from Huang Kitchen [Fish Doll Mooncakes – Kung Chai Peng 公仔饼]. 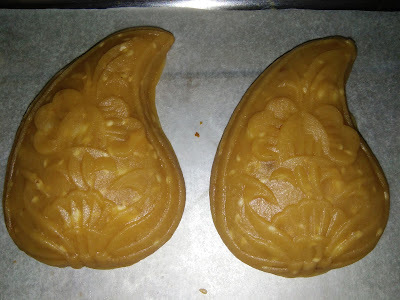 For this recipe, I have used the peach shape mould [AKK mould] as I thought of making bigger size doll mooncakes. 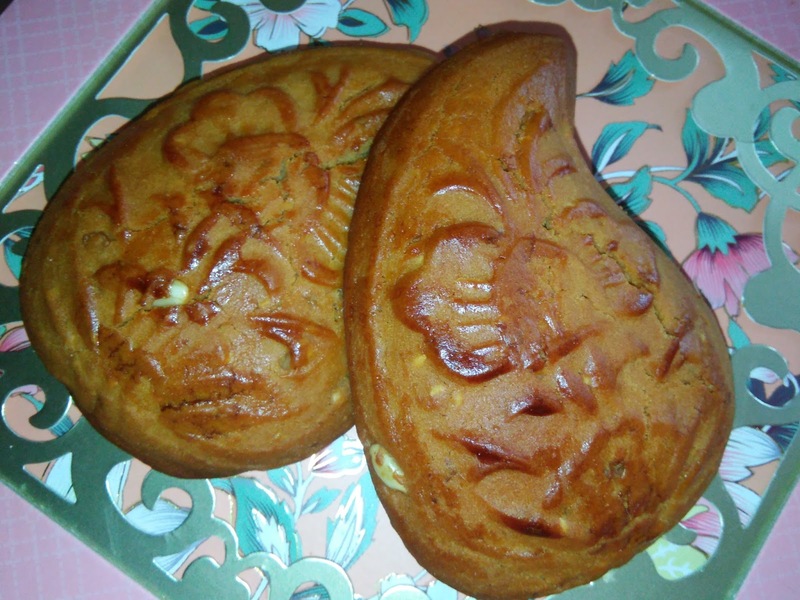 These doll mooncakes are lovely with a combination of nuts, seeds and meat floss. It’s crunchy, sweet and savoury with this combination of ingredients. The sweetness is acceptable to me [not that sweet]. The dough is soft and not sticky, easy to shape and mould. 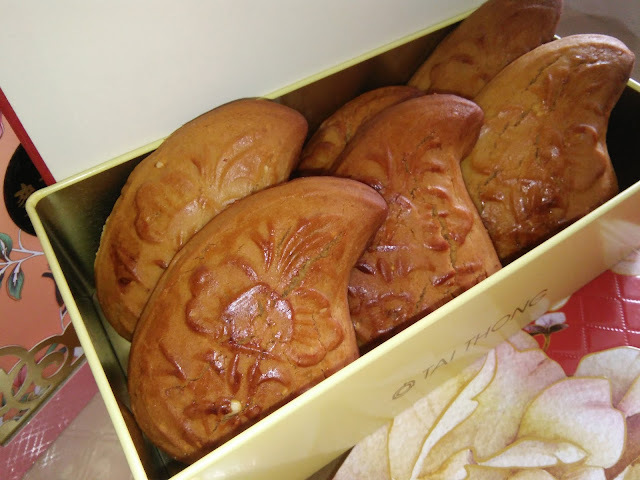 Mooncakes will be hard and soften only after resting for few days. 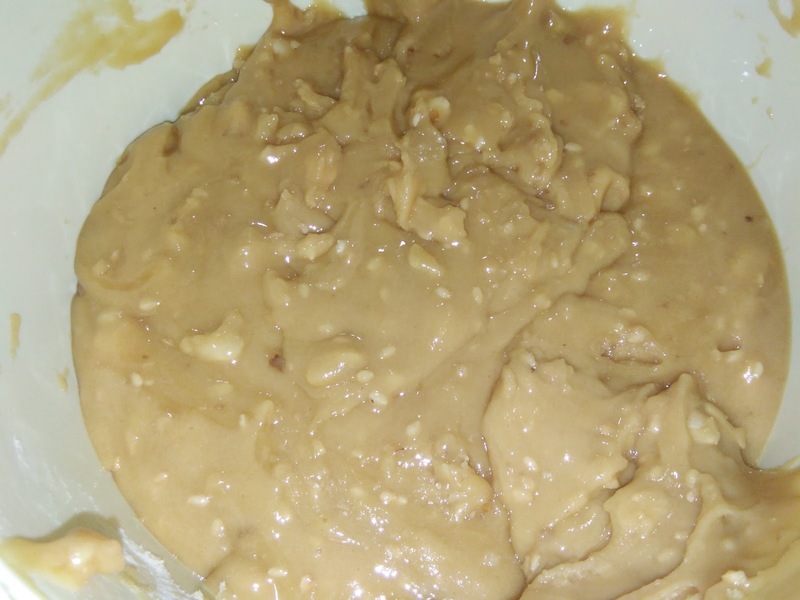 Combine and mix golden syrup, peanut oil, alkaline water and 1 tbsp flour in a deep container. 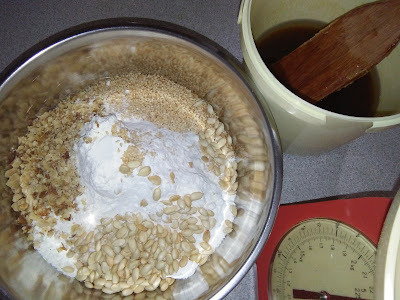 Stir to mix well, cover and set aside for a few hours [I leave it overnight]. 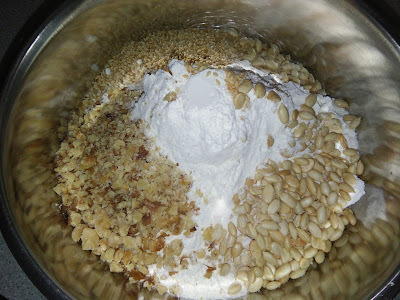 Combine all the dry ingredients in a mixing bowl and stir to mix well. 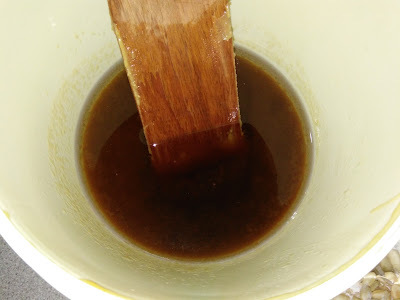 Add slowly into the golden syrup mixture. Mix with a spatula to form a soft dough. Do Not Knead the dough. Cover with lid and set aside for 2 hours [I leave it overnight]. 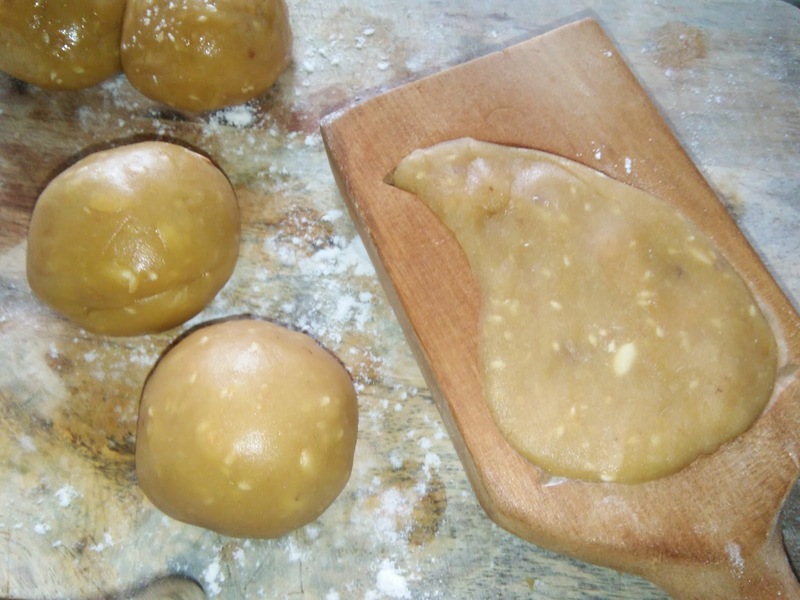 Divide dough into small portions according to the size of the mould used. Roll into balls. Wrap about one teaspoon of meat floss in each dough ball. Pinch dough to secure the seam, then roll again into round shape. 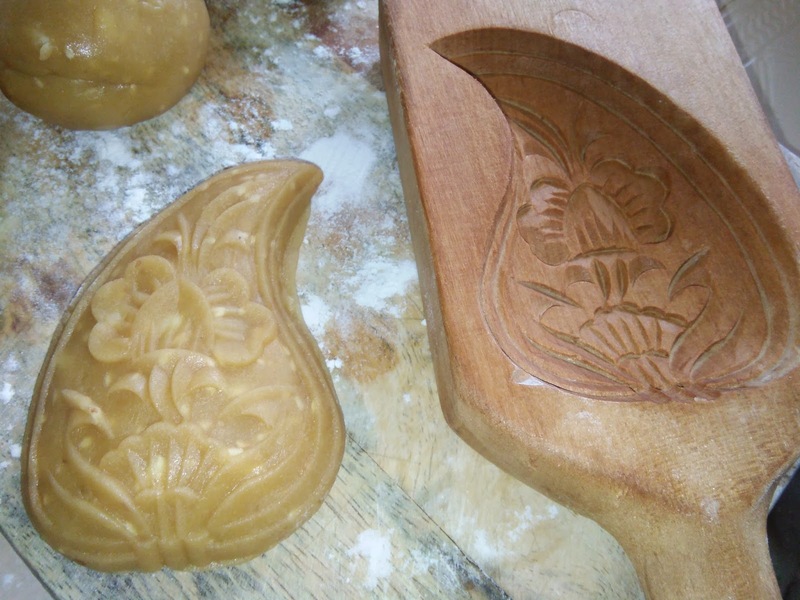 Lightly dust a mooncake mould and place rolled dough in the mould and press. 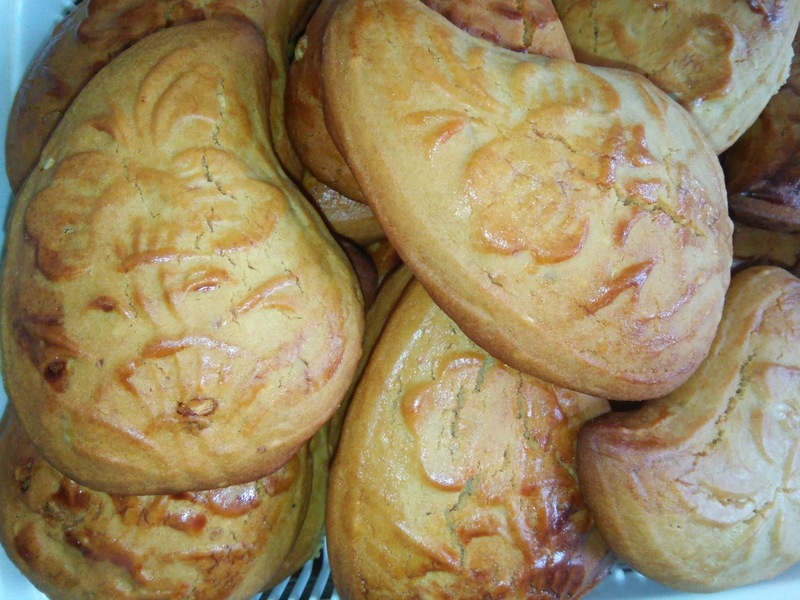 Tap gently to dislodge the dough from the mould. 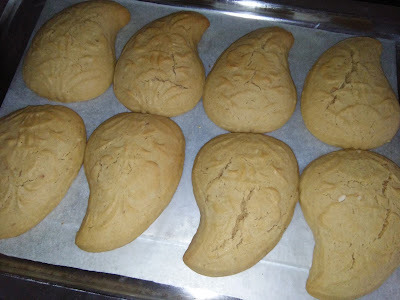 Place on a baking tray lined with parchment paper. 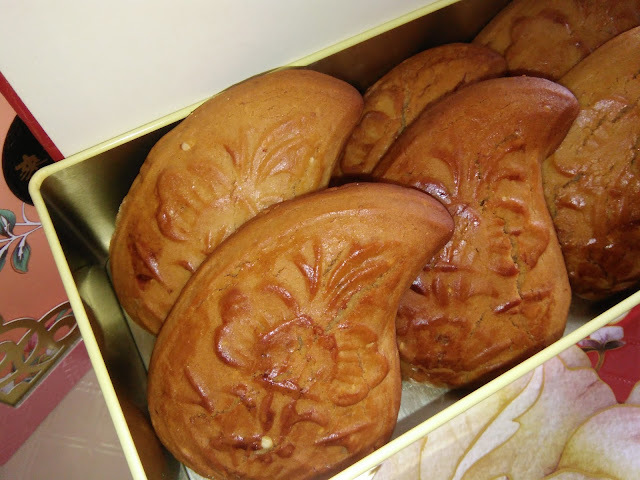 Repeat the same with the rest of the mooncake dough. 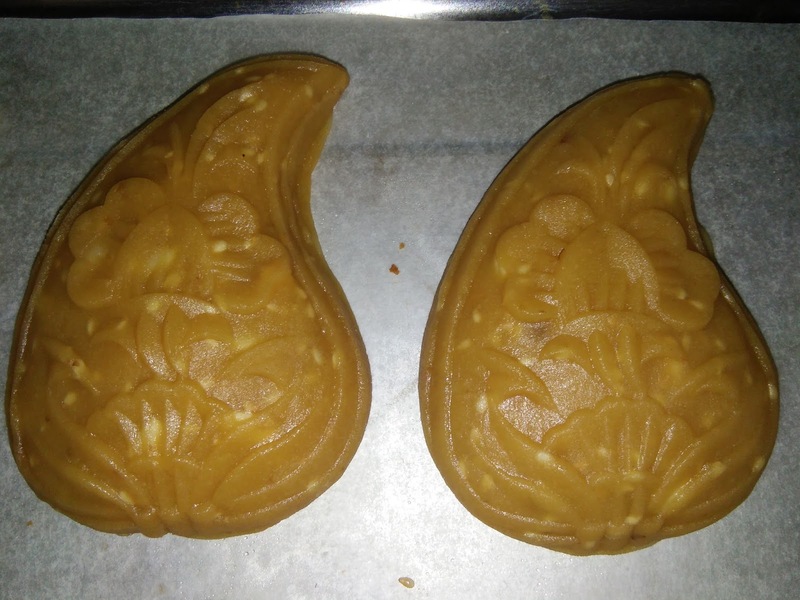 Bake the mooncakes in preheated oven at 160 degrees C for 10-15 minutes. Remove to cool on wire rack for 15 minutes before brushing the top with egg glaze. Brush sparingly. Return to oven and continue to bake for another 15 minutes or until just golden brown. Remove to cool on wire rack and leave to cool completely before storing in air tight containers. *Mix 1 egg yolk and 1 tbsp water, then strain through a fine sieve.